As a part of our Book Initiative to get more books in the hands of our students and/or to make books more accessible, the Icenhower Library will have Extended Library Hours one day a week for our students and their parents to come check out books, to read and/or to and use the resources in the Library. 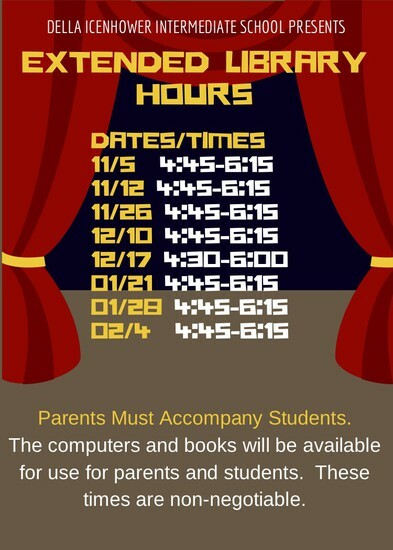 Students MUST be accompanied by an adult during these extended hours. If a student arrives without an adult, then the student will not be allowed to stay.